The Lohmeyer Law Office is a debt relief agency under §528 of the U. S. Bankruptcy Code. Attorney Steve Lohmeyer offers bankruptcy and nonbankruptcy solutions to debt problems. 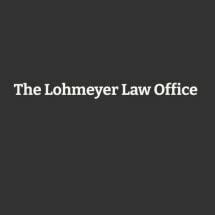 The Lohmeyer Law Office, located at 430 W. First Street, New Albany, Indiana, can stop lawsuits, garnishments and harassing telephone calls from creditors. But more than that, attorney Steve Lohmeyer will help you save your assets and income to the fullest extent allowed by law while also getting rid of debts and expenses you cannot afford to pay. Steve not only assists clients with Chapter 7, Chapter 11, Chapter 12 and Chapter 13 bankruptcy filings, but also offers debt relief options that do not involve the bankruptcy court. Filing for bankruptcy and finding debt relief options outside of the courtroom is a difficult balancing act that requires an experienced attorney. Steve has over 35 years of experience getting debt relief for people throughout southeastern Indiana. If there is not enough money to cover your expenses, including your mortgage, credit cards, groceries, hospital bills, prescriptions and personal loans, call the Lohmeyer Law Office. Our law firm is located just steps from the New Albany Bankruptcy Court. In 1982, when Steve Lohmeyer began his long and distinguished career, his practice was devoted primarily to custody, visitation, child support and divorce. He also served as Director of the Floyd County Prosecutor's Child Support Division, where he initiated over 500 paternity cases in four years. He still practices family law in Clark, Floyd and Harrison counties and the surrounding communities. Steve writes and teaches seminars on the overlap and interplay between family law and bankruptcy law. In addition to these practice areas, the fastest-growing part of his law firm involves wills, trusts, estates and probate matters. Our law firm helps clients in all stages of their lives. If you are in your 20s or 30s, you and your friends are more likely to need representation with family law matters. Our skilled law firm will give you knowledgeable counsel to resolve your family law issues and move forward with your life. If you are in your 50s or 60s, you are more likely to need help with wills, living wills, trusts, estates and probate matters. Steve’s years of experience working through difficult family dynamics in divorce cases, combined with his knowledge of balance sheets in business and personal bankruptcy cases and his college degree in religious studies, make him uniquely qualified to assist folks with end-of-life decisions and estate administration. From the first case conference to the last, you will always work with attorney Steve Lohmeyer directly – in person, face to face – never through a legal assistant or paralegal. Steve Lohmeyer does not charge for your initial case conference. At our law firm, you will sit down and discuss your case with Steve Lohmeyer in a free consultation. You will then receive an outline of what we can do for you and an assessment of what it will cost. Unless you tell us, “Yes, do that,” you owe nothing. If we cannot come up with a solution that appeals to you, at a price that is acceptable, we shake hands and part as friends, all at no charge. For a chance to talk to Steve Lohmeyer at the Lohmeyer Law Office, call 812-948-9211.